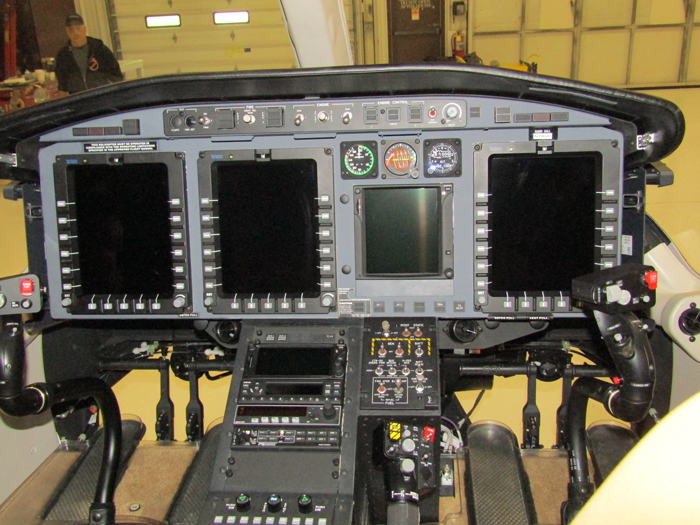 PAC International (Paradigm Aerospace Corporation) recently completed avionics upgrades on an early model Bell 429, owned and operated by The United Company in Bristol, VA. The upgrade included removal of the original dual Garmin GNS 430 COMM/NAV/GPS equipment and installation of Garmin GTN 750/650 systems. PAC International, a solely owned subsidiary of Metro Aviation, has a world-wide reputation for providing a wide range of innovative, customer focused, and high quality helicopter completion and customizing services on Bell, Airbus, Agusta, Sikorsky, and MD Helicopters. They have established a reputation for providing state-of-the-art services in helicopter painting, custom interior fabrication, and avionics installations. Visit PAC International at Heli-Expo, Booth #9337.